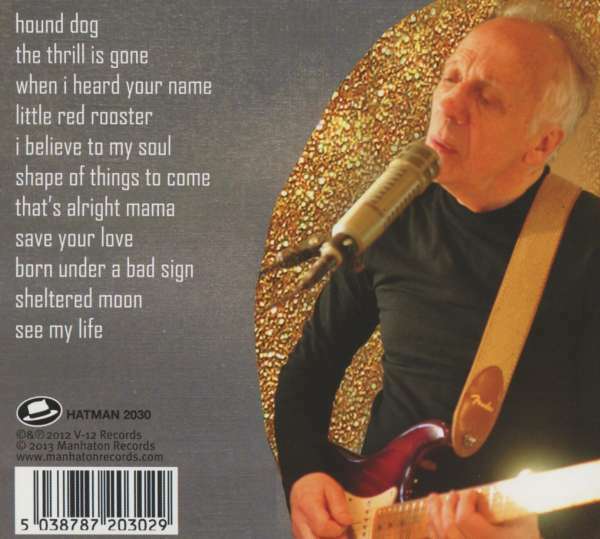 Robin Trower, a gem of a guitarist who was more widely known in the 1970’s, continues his lengthy career with the release of Roots and Branches. For the devoted, and that’s generally his entire audience, this release is probably welcome in that it generally holds true to basic blues/rock songs. As the title suggests, the “roots” are cover songs, and they’re quite the selections, as noted below, intermixed with “branches” which are new songs of his own. Altogether, they fit seamlessly, as the blues is the blues, and the tone and production values here give a consistent sound to the whole endeavor... not that it’s been an issue in recent years. I’ve never been much of a fan of “Hound Dog,” but his reworked guitar progression almost gets me there. The lyrics are just too tired for my ears, despite the great effort. The standout for me is B.B. King’s “The Thrill is Gone,” to which he applies the guitar tone he’s been heavily mining in his past two releases. The lyrics emote, his vocals relate, and his guitar speaks what can’t be said. “When I Heard Your Name” is a pounder, the drums defining the aural “hook” while the guitar lead shapes around the lyrics. Vocalist Richard Watts is, to my ears, a clear upgrade from Davey Pattison’s contributions on recent releases, and he’s a natural fit for the five songs on which he appears. Some might consider “Little Red Rooster” a superfluous challenge given its heritage of covers, but Trower clearly coveted this song. This sounds like he plotted it for the longest time, shaping not just the howls of his guitar but his vocal delivery to make the song sound like it had always been one of his own. He would have succeeded, too, if he had extended this rascal another 2-10 minutes. Nailed it. This is yet another of his abundant examples to the fleet fingered hordes that tone, control, and expression are where guitar mastery lies. Next is a slower song that warms but never burns. “I Believe to My Soul” is a good song. It’s not filler, but it’s not the song you rush to hear, either. The background chorus is a great root to the branch. “Shape of Things to Come” shouldn’t be confused with The Yardbird’s similarly titled song. It’s a good song, but it’s more rock than blues and slightly out of place in the whole due to its more intricate groove. His guitar certainly has its moments, though, and that’s why we listen. Maybe I’m just not that big an Elvis fan, but “That’s Alright Mama” is just serviceable for me. I actually prefer McCartney’s version, thought the guitar punch and harmonica make it enjoyable enough. “Save Your Love” slows the pace down again, and a minimalist organ lets you know that the quieter moments will speak the loudest. 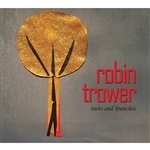 And when it comes to Trower, those moments are a note by note thing. Beautiful stuff, even if the tune and lyrics don’t set the song apart from the host of other slow blues burners out there. “Born Under a Bad Sign” would seem a natural for Trower, and it is. The guitar lead waits... and waits... for the vocals to give pause. Then it rips loose and is too quickly bottled for the next stanza. Why Trower felt it inappropriate to include a legitimate jam in this set is beyond me. This song ends far too soon, incomplete even. “Sheltered Moon” is an immersive song, with great singing by Watts, minimalist backing guitar swells, and a deft, noodling lead guitar that plays in the depths. The finale is “See My Life,” an unrevealing near-the-end-of-life sketch that allows him to stretch his solos beyond the blues conventions mostly held to through the record. It’s a good closer, lyrically and musically. Maybe I’m too picky a listener. This CD sounds great. It’s enjoyable through its full length. It’s just disappointing that Trower felt it necessary to stick to a formula where the songs are allowed to say only so much and no more. That said, six of the eleven tracks clock in at over 5 minutes. This is a less exploratory than What Lies Beneath, and more consistent than The Playful Heart for fans of the “old” Trower. For me, I like both of those releases better, where he seemed to be pursuing, if not the lost chord, that perfect tone. Maybe next time, and I hope the next one doesn’t take a full two years to arrive.